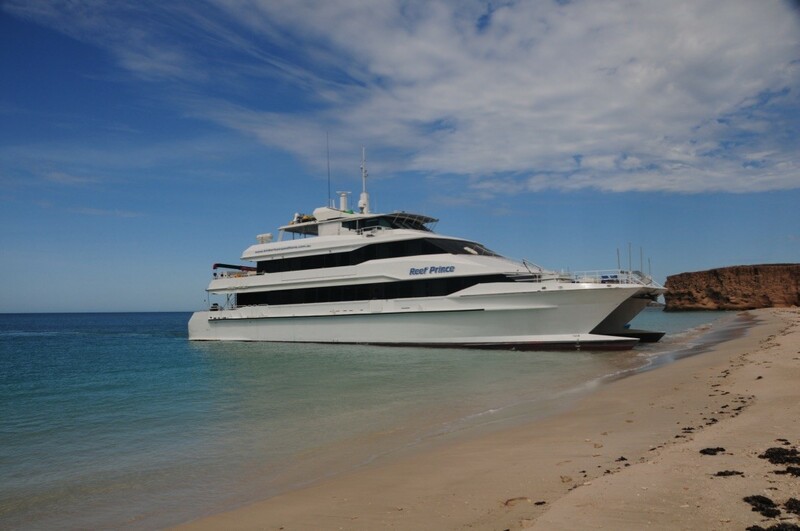 Amazing Broome to Exmouth 8 day cruise ! Western Australia’s Coast line offers some of the world’s last great wilderness areas. It is difficult to access and has fewer people per square kilometer than almost any other place on Earth. 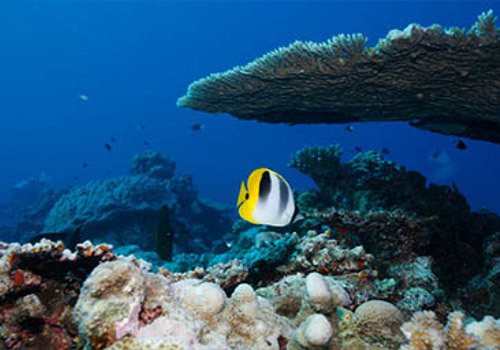 Almost every island on the WA coast is surrounded by a fringing reef, rich in marine life. 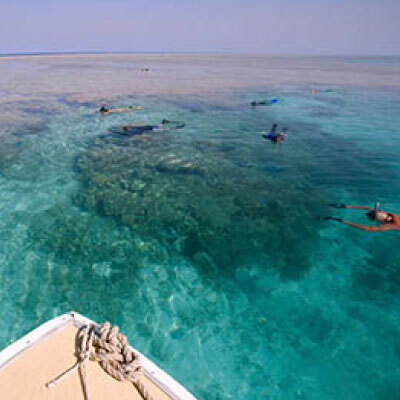 Aboard our vessel you will have the chance to explore many untouched parts of our Australian Coast. 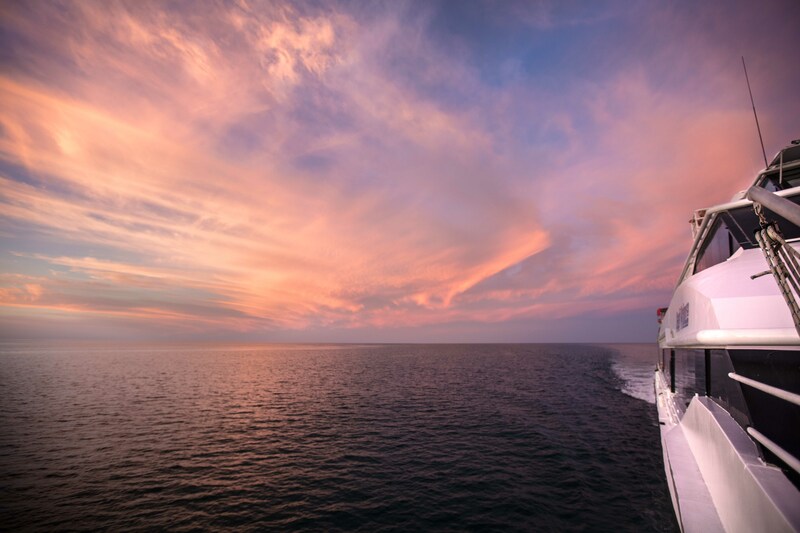 Departing Broome this amazing cruise takes in the pristine Rowley Shoals, the beautiful Montebello Islands, Mackerel Islands and Serrurier Island – otherwise know as Long Island. 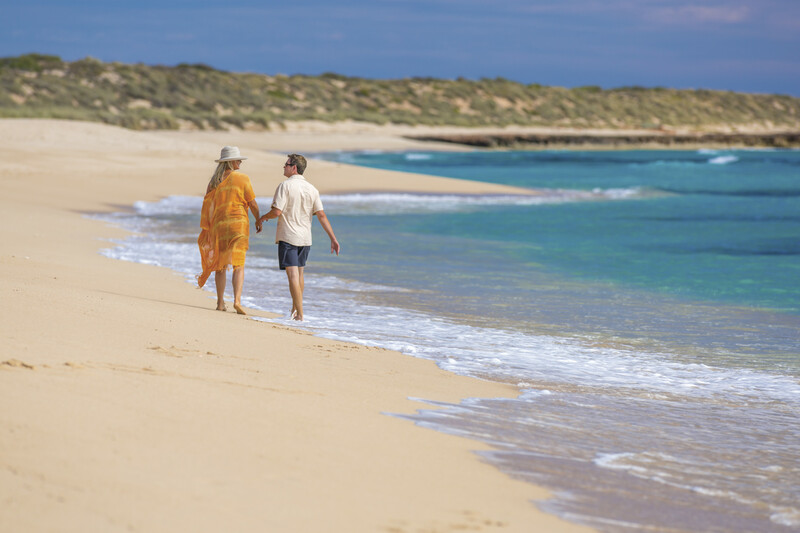 As well as island hopping guest can enjoy fishing, snorkelling, diving or beach walks. Our crew are experienced guides and will share with you their knowledge of the region and guide you safely on all excursions. Our 2019 Broome to Exmouth cruise is very popular so be sure to book early! After discussion on board with you – our guests, your experienced Cruise Director will consider the best tides and weather conditions to develop your cruise plan and provide for an unforgettable, tailored expedition for you and your fellow explorers. The following itinerary is a guide. You certainly won’t be disappointed. Your Expedition begins this morning. Our coach will collect you from your Hotel around 9am TBC. Your coach will transfer you to your expedition vessel. 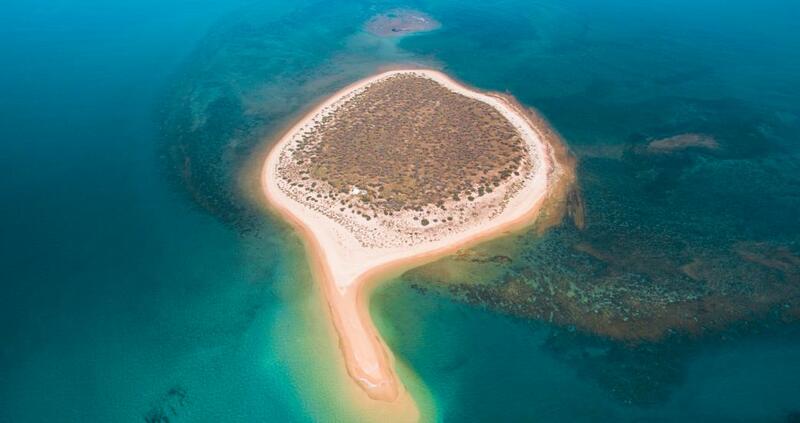 Reef Prince will be awaiting your arrival anchored within Broomes – Roebuck Bay. Our crew will soon begin our overnight steam to the beautiful Rowley Shoals. Wave goodbye to the pearling town of Broome as we steam towards the setting sun. This morning we arrive at Clerk Reef. Today you may wish to join a fishing expedition or beach comb the sandy bay within the atoll. 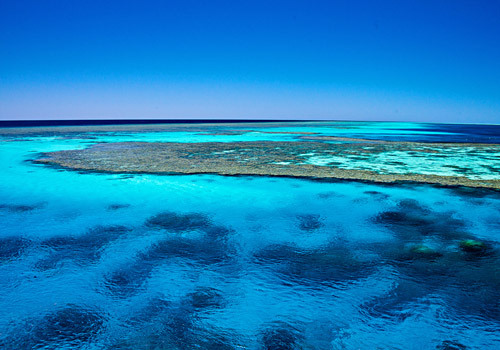 Amazing diving and snorkelling awaits you at the Rowley Shoals. From within the Shelter of the Atoll we watch the sun set over a pristine and virtually untouched coral island. The top deck is definitely the place to be for yet another spectacular sunset whilst enjoying your choice of beverage before savoring a delicious meal. Our crew will fill the day for you with some unforgettable experiences. This afternoon we begin our overnight steam towards the Monte Bellos. Tonight we arrive and anchor within the shelter of 174 beautiful little islands. The crew’s favourite destination! The Montebello Islands was the site of three nuclear weapon tests by the British Military: one in 1952, and two in 1956. A bay on Trimouille Island was the site of Operation Hurricane, the first ever atomic weapon tested by the United Kingdom, on 3 October 1952. In 1956 there were two further tests, on Alpha and Trimouille Islands respectively. The second of these, codenamed “G2”, included the largest nuclear explosion in Australia, with a yield of 98 kilotons. Fallout from the Montebello tests is reported to have contaminated areas of mainland Australia as far away as Queensland. We can explore the, now safe, site of these blasts. Days 5 & 6: Explore the Montebello Islands. Two days is just enough time to give us a great taste of the Monties. From the mangroves to the Ornate crayfish and perfect little sandy bays. These islands were significant for pearling from the end of the 19th century until recent years when the farms were disassembled. Be it fishing, snorkeling, diving or just strolling the perfect isolated beaches – the MontIes are our playground for the next two days. We’ll be looking forward to tasting today’s fresh catch. Perhaps after sharing a drink or two under the stars on the upper deck. Day 7: Cruise the Mackerel Islands with the security of Serrurier Island for the night. We depart our playground today to cruise through the Mackerel Islands. 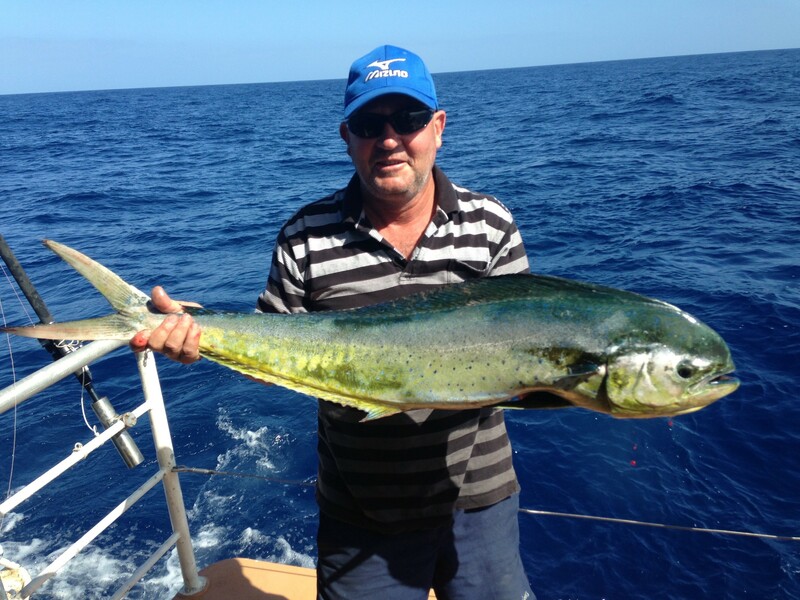 Feel free to drag a lure for a big mackerel as we continue our cruise through the industrial islands of the Pilbara. An early mornings beach walk and swim on Serrurier or a fishing expedition for today target species the Estuarine Cod – the choice is yours. 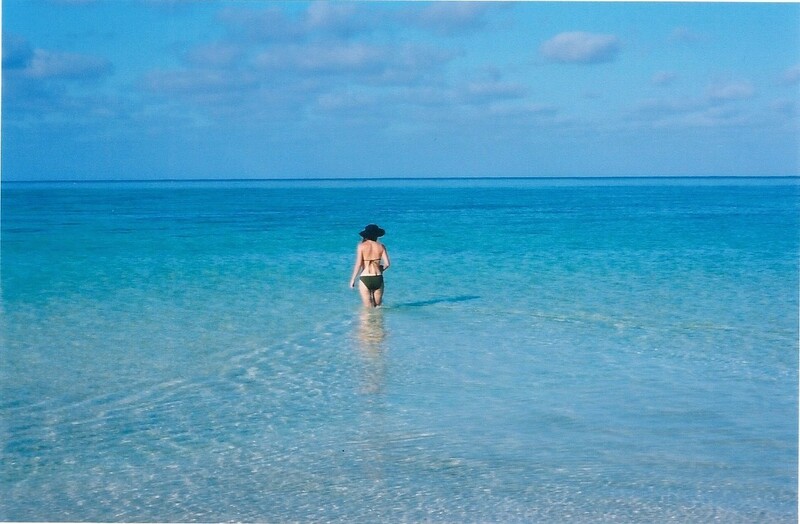 Serrurier offers some great beach combing and swimming. Departing our little island paradise the fishermen will be keen to drag a lure while we head further south. Good chance of a charging Spanish mackerel for the patient. Today we to steam down into the Exmouth Gulf. Are you ready for an amazing, adventure?